While traveling through Asia, you're probably going to Bali for the beaches — which we love — but schedule out a day or two for Ubud as well. Trust me. A vacation in Bali is a dream, but living in Thailand taking a vacation to Bali might just top that. 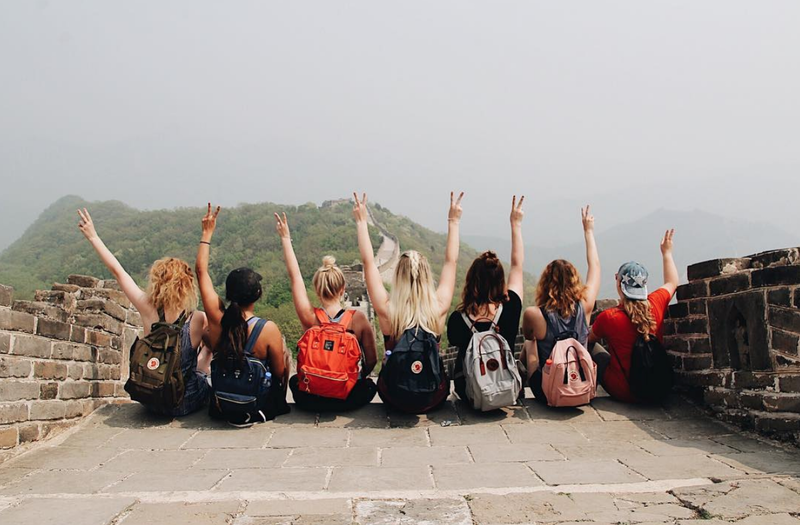 Learn how to make a semester in Thailand a part of your gap year, here. 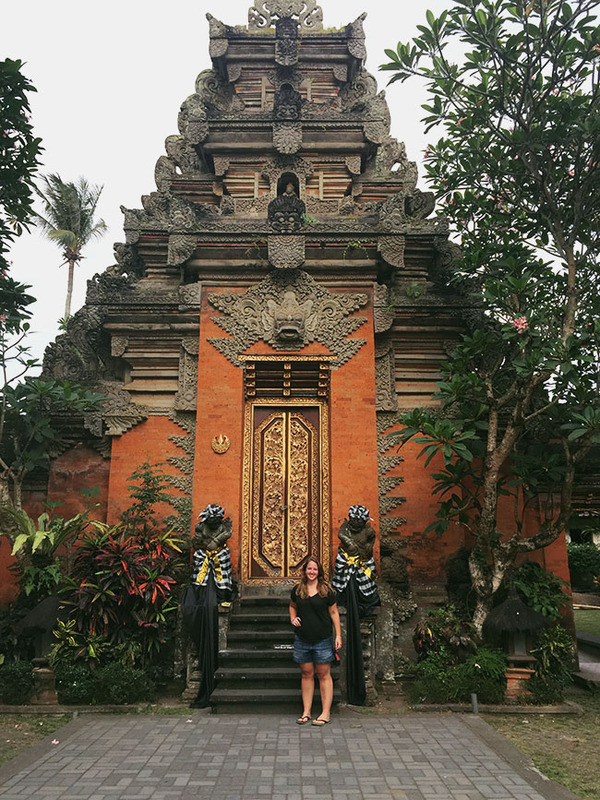 Ubud is the heart of Bali and it's only about a 45-60 minute (and inexpensive) taxi ride away from the airport in Depensar. It's the spiritual center. It's the rice terraces. It's the temples. It's the yoga. It's the scooter rides. It's the monkeys. Remember Eat, Pray, Love? Ubud is where she went! It's the perfect day trip to get away from the resorts and get a feel for more traditional Bali culture. Okay, okay ... I talked you into it. Perfect. Here's what you need to know? 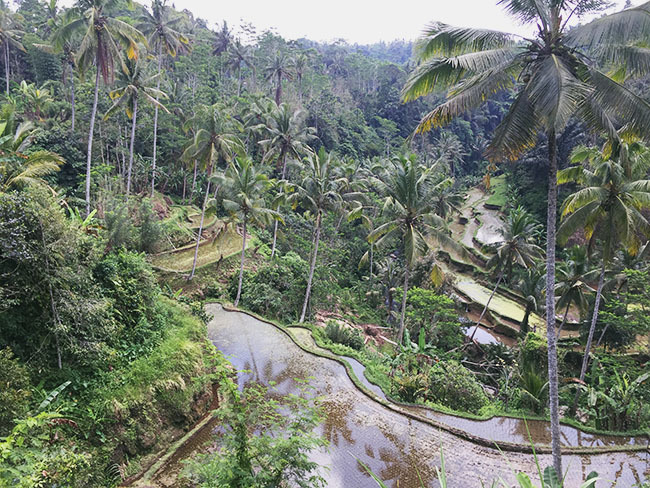 A lot of people use Ubud as a day trip, but I definitely recommend staying at least a night or two. 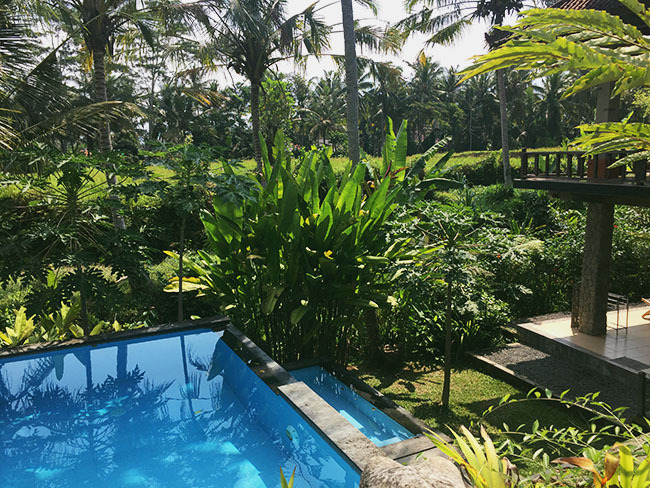 There are tons of incredible places to stay in Ubud, no matter what your budget is. The only thing is that the secret is out about how cool Ubud is, so I definitely recommend booking as early as you can. I found a BEAUTIFUL place to stay with own infinity pool and kitchen for about $20 USD a night on Airbnb. 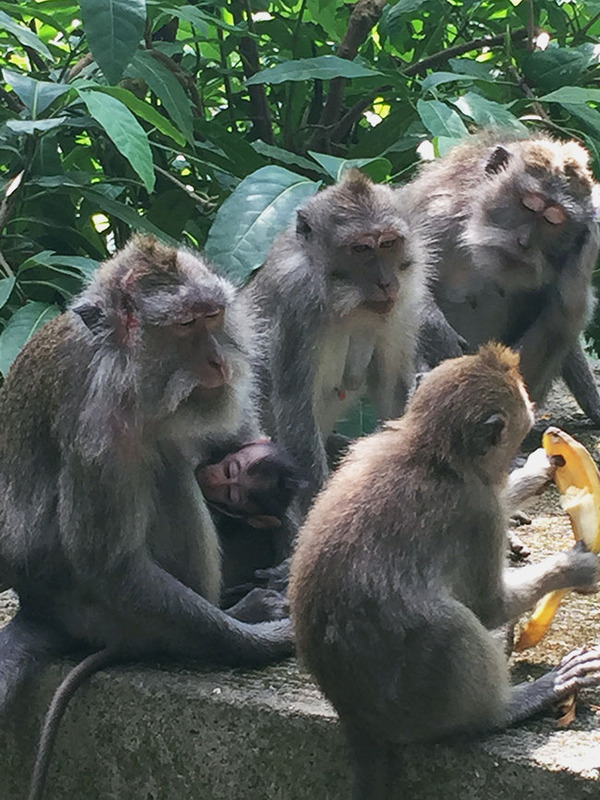 Go check out Monkey Forest! I am a little terrified of monkeys but this place is hilarious. You enter and there's signs that say "Don't feed the monkeys" along with other safety rules. Then, you see carts packed full of bananas where women are selling bananas by the bunch...specifically for you to feed the monkeys. So, apparently rule breaking is part of the Ubud experience. You don't have to worry about whether or not you'll spot a monkey. They are EVERYWHERE. And they are not afraid to walk right by you. If you're holding a banana you better get ready to give it up because they WILL hunt you down and they WILL get that banana. They'll come right up on your lap or your shoulder for it. It's probably the most hilarious (or in my case terrifying) stroll through a "park" that you'll ever have. There is a small entrance fee. Worth it. A scooter ride away from Ubud you can find the Tirta Empul temple in nearby Tampak Siring. Here, you can find many dedicated to their traditions and beliefs praying, meditating, and giving offerings. It would be incredibly serene if it wasn't for the hoards of people, but that's just what comes with popular destinations unfortunately. 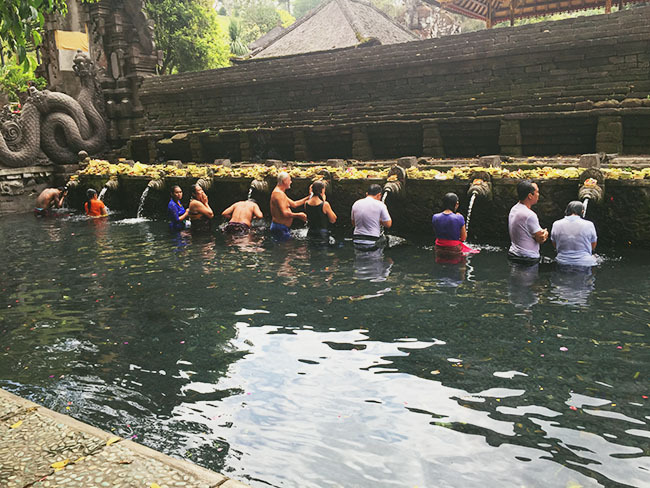 Holy water is sent through several stone fountains where you can wash your sins away and be cleansed. It's a pretty interesting experience if you're up for it. Bali is one of the capital places for yoga and truly the top paradise destination. There are so many places to practice yoga in Bali and in Ubud as well because it is so popular. One of the most popular places to check out if you're in Ubud is the Yoga Barn. You can stop by for any number of classes or you can even book your stay there! 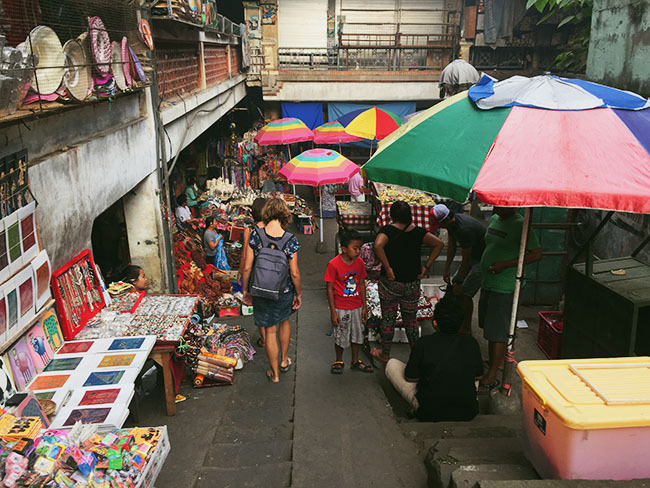 Downtown Ubud is where you'll find the handicraft market. This is really where you want to buy your souvenirs from Bali! There's lots of different touristy trinkets and you can also find beautiful homemade goods as well as spices. You're going to want to bargain down the prices like anywhere else when you're shopping in Asia, so make sure you stick to your guns and get a good deal. If you stumble across it, there's also a beautiful temple just across the street from the market. They also hold cultural shows there sometimes. They are breathtaking, incredible, life changing. Those views make you feel like you have really arrived at the heart of Bali. There are many throughout the area, so if you're having trouble stumbling across some just ask any taxi driver. They'll be more than happy to show you around. You can even hire a taxi driver for the day for incredibly reasonable to hit all the spots if you want. There you have it! Enjoy Ubud and especially enjoy Bali. What a beautiful, welcoming island. Don't forget to eat aaaaalllll the food ... and visit our favorite beaches after your stay in Ubud. 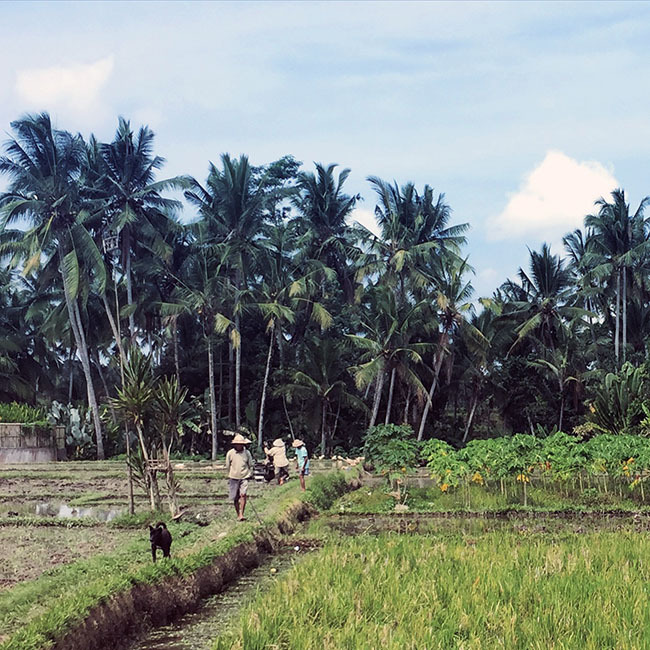 Our ILP volunteers in Thailand are able to travel to Ubud during one of their vacations. Teach English in Thailand to adorable children and vacation in Bali? Sounds pretty good right? Click below to learn more about volunteering in Thailand with International Language Programs.